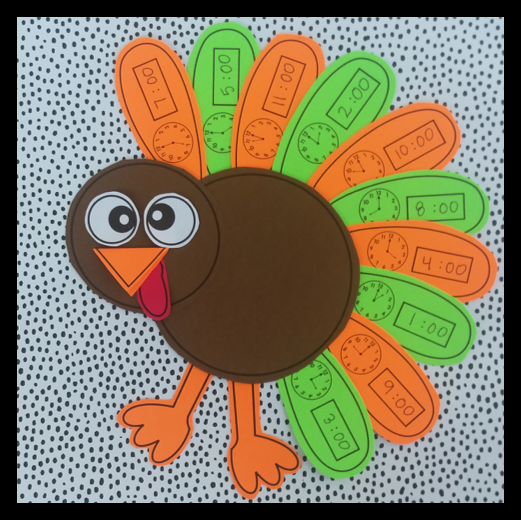 Thanksgiving is my favorite holiday! We haven't even made it to Halloween yet, and I am already working on crafts for November! 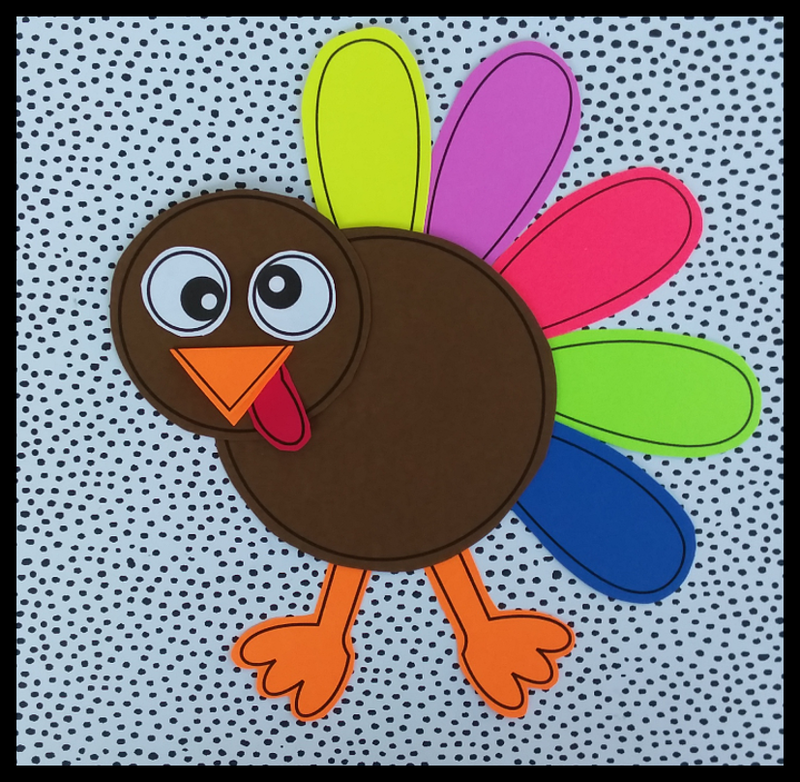 Check out this fun Turkey Craft that can be used in several different ways. 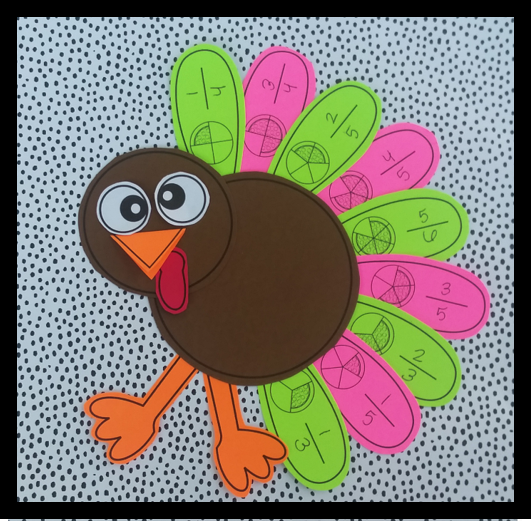 The feathers have been left blank so that you can either print them on colorful paper or onto white paper and have students color them. The blank feathers can be used to practice a variety of skills such as first names (have children write one letter on each feather), sight words, etc. Students cut and paste the numbers 11-19 in order. 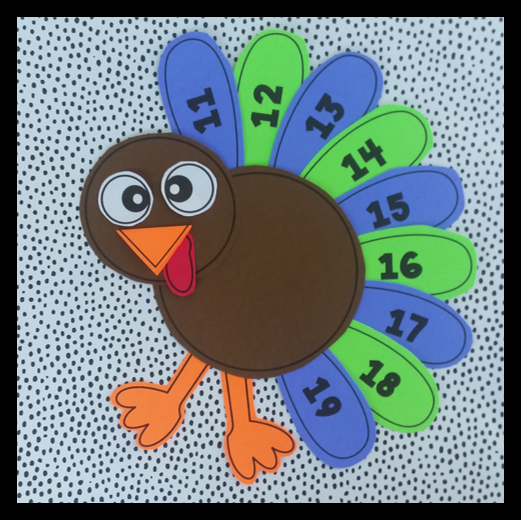 Students write the numbers on each feather in the correct order. Students write the time that is shown on the clock. Students look at the pizza and record the correct fraction. 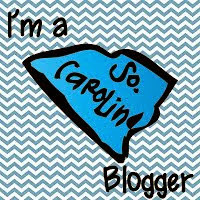 I love this craft because not only is it cute, but it is versatile! 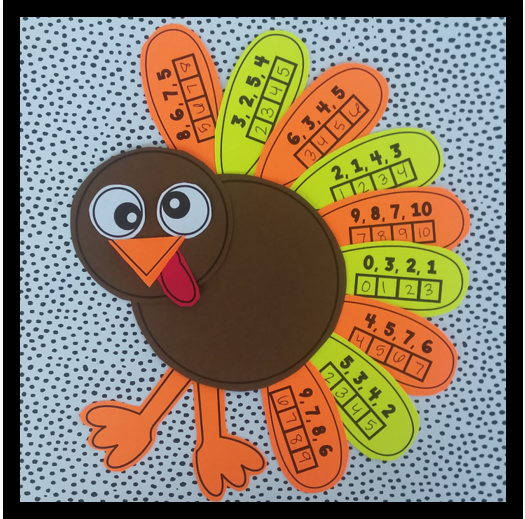 Just print the feathers that will practice what skill(s) your students need.